Directions to the University: Click here to start your Google Maps directions to Pace University. Or click here (or see below) for a direction flyer for getting to Pace University. Is there a Campus Map Available? 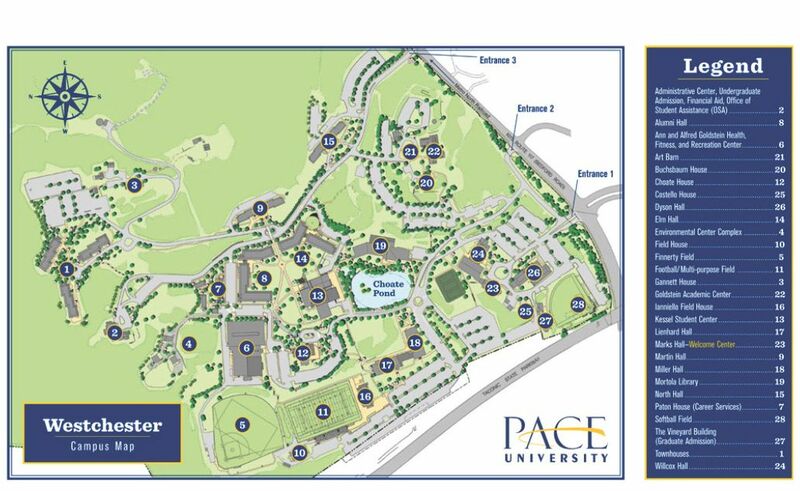 : Click here to see a map of the Pace University, Pleasantville, New York. Does my Chapter/Alumni Entity have to Register: Yes! Registration of Chapter and Alumni Entity delegates will be begin at 8:00am. To save time, please pre-register online; to do so click here for the registration form. Remember: There are only two (2) delegates per chapter and alumni club, and one (1) delegate per alumni association. Colony representatives (and others) are deemed observers on that online registration form. Starting Time: The starting time for the meeting will 9:00AM. Delegate Reimbursement: Undergraduate Chapter Delegates get reimbursement for mileage provided they attend the Council meeting from start to finish. Those arriving late or leaving early may forfeit their mileage reimbursement. Breakfast (Delegates). Breakfast will be provided for delegates as follows: There will be a continental breakfast available starting at 8 A.M. Lunch (Delegates). Lunch will be provided for delegates as follows: The Fraternity will pay for your chapter's two (2) delegates for lunch. ​Time: There will be a dinner buffet starting at 4;00pm. Menu. 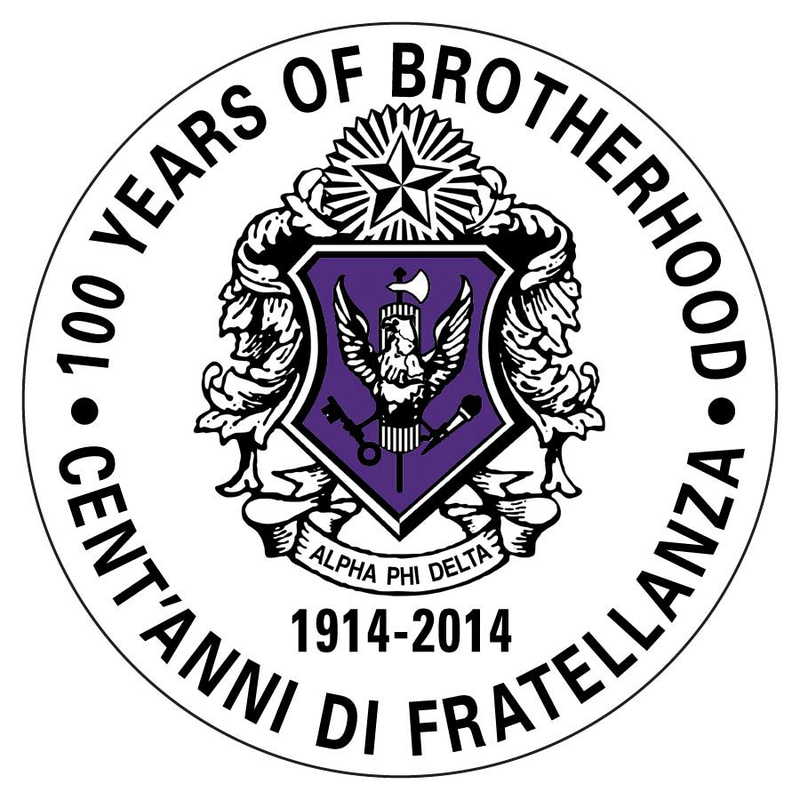 The menu for the dinner is as follows: Chicken Parmigiana, Eggplant Parmigiana, Pasta Primavera, Penne Pasta Alfredo, Garlic Bread, Caesar Salad, Soda, Water. ​Take exit 26, “Taconic State Parkway.” The first exit on the Taconic Parkway is for Pace University at Pleasantville – Route 117. At the end of the exit there is a traffic light. Entrances one and two to the campus are directly in front of you, straight across the intersection. If you turn right at the light and proceed east on Rte 117, entrance three is 2/10 of a mile on the left. Entrance three is the most popular entrance with access to our residence halls and administrative buildings. CROSS WESTCHESTER EXPRESSWAY – ROUTE 287 –WESTBOUNDTake exit 3 to the Sprain Brook Parkway northbound and proceed north as above. Follow Rte 9A north and exit at “Route 117/Sleepy Hollow/Pleasantville.” This will be a left lane exit. At the end of the exit, at the traffic light, turn right and proceed under the Taconic State Parkway to the first traffic light. Turn left into entrance one and two, or proceed east 2/10 of a mile to entrance three. Entrance three is the most popular entrance with access to our residence halls and administrative buildings. Follow Route 9 into Croton on Hudson and take the exit for Route 9A “Briarcliff Manor.” Exit at Route 117/Sleepy Hollow/Pleasantville. This will be a left lane exit. At the top of the exit, at the light, turn left and proceed under the Taconic State Parkway to the first traffic light. Turn left for entrance one and two, or proceed 2/10 of a mile east and turn left into entrance three. Entrance three is the most popular entrance with access to our residence halls and administrative buildings. Take the Metro-North Railroad Harlem Line to Pleasantville Station. For schedule information, call Metro-North direct at 1-800-METRO-INFO or visit the Metro-North Web site. During the Fall and Spring academic semesters, connect to the Pace Shuttle Bus, which stops at Memorial Plaza at the southwest corner of the Pleasantville train station. The shuttle bus picks you up from the train station twice an hour at approximately 5 and 35 minutes after the hour (until 6:00 p.m.) and takes you to the campus, with stops at Miller, Wilcox and on mail runs, Castelton). Consult our schedule at www.pace.edu/transportation.